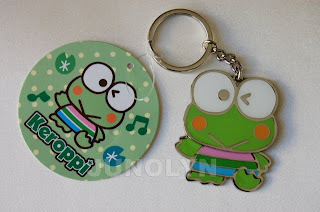 About two weeks ago, I went to another Sanrio store and bought the last two Keroppi keychains at West Covina's mall. 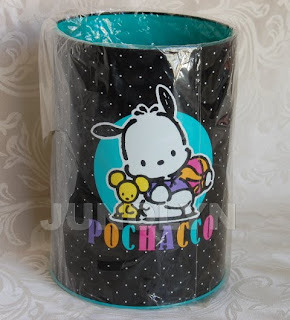 ^ Last week, I received a beautiful Pochacco metal trash can that is still in mint condition. How cute is the can above? If I keep this tucked away somewhere in a big bin, I'd probably use tons of bubble wrap to protect it from dents and aging. I can imagine putting it up for display, but never using it... I mean, c'mon, it's going to be one classic vintage piece for years to come! How rare can you find this kind of trash can in mint condition with no BIG dents or any kind of damage to this piece?? And, especially my favorite kind of Pochacco design of all things.